Callan Matthews is a master at burying pain and emotions. 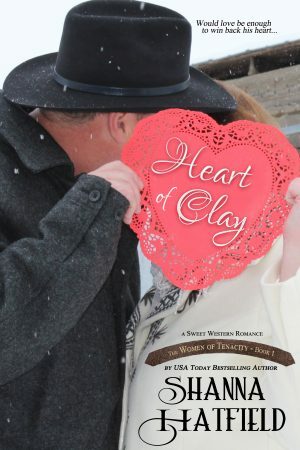 Her husband Clay mistakenly thinks he knows everything there is to know about this woman he loves. Callan’s secret, once revealed, could create a chasm too deep for either of them to cross. Clay had no intention of behaving himself. Taking Callan’s shoulders in his hands, he turned her around and gave her a kiss that left them both rattled. With determination set in his jaw, he reached over and tugged the clip out of her hair, tossing it onto the nearby table. Gently, he ran his hands through her hair, letting it fall down her back and on his arms. Taking a step back, he stood and drank in the sight of her. “I haven’t seen your hair down for a while. It’s beautiful.” Callan looked into his eyes and watched the blue depths grow darker, stormy with longing. Didn’t he realize how good that color looked on him? Goodness, what was he thinking showing up looking and smelling so irresistible? When she saw him leaning against the wall at the party, she couldn’t help thinking some woman was very blessed. Then she realized it was her Clay. It still amazed her that he had chosen her to marry, especially with all the girls who would have jumped at the opportunity. With his hot blue gaze locked intently on her hers, he stirred her emotions in a way that made her feel like that this could have been their first date, not a nice evening enjoyed by a couple long married. Although it had been a while since either of them had been this close and interested in each other. It was then she noticed the nick on his chin that hadn’t been there last night. Without thinking, she took a step forward and put her fingertip on the spot before pressing a tender kiss there. Clay closed his eyes and savored the feather-light kiss on his chin for the second it lasted. He was afraid to hope, but couldn’t wait any longer to know if Callan was going to return his feelings. Pulling her close, he buried his face and hands into her hair. “Callan, let me love you tonight,” he rumbled in her ear. He felt her nod as her hold on him tightened.